I put more than 25 years of experience in message development to good use, building websites that get the job done — with simplicity and elegance. The samples that follow are a few of the 100-plus sites I’ve developed to date. TEDX is dedicated to compiling and disseminating the scientific evidence on the health and environmental problems caused by low-dose exposure to chemicals that interfere with development and function, called endocrine disruptors. Razia’s Ray of Hope Foundation is dedicated to improving the lives of women and children in Afghanistan through community-based education. Beyond Pesticides works to protect public health and the environment, leading the transition to a world free of toxic pesticides and contaminating chemicals. It seeks to protect healthy air, water, land and food by forging ties with governments, nonprofits and people who rely on our natural resources. Visitors to the Coggeshall Farm Museum encounter a New England farm at work in the years following one revolution — the war that brought independence from Great Britain — and leading up to a second — the Industrial Revolution. Set on 48 acres of coastal farmland, Coggeshall recreates the daily experience of 1790s tenant farmers on a salt marsh farm through live interpretation, historic structures, heirloom plants and heritage-breed animals. Founded in 1973, the Northeast Document Conservation Center is the first independent conservation laboratory in the nation to specialize exclusively in treating collections made of paper or parchment, such as works of art, photographs, books, maps, manuscripts, and more. NEDCC has gained a reputation for professional conservation, imaging, and audio preservation services and has worked with some of the nation’s most significant cultural heritage materials. The purpose of BCCT is to help a motivated person with cancer explore the best integrative approaches to cancer diagnosis and treatment that go beyond conventional cancer care. The ultimate goal is to contribute to evidence-based integrative cancer care. The immediate goal is to help people search for what might help beyond conventional therapies and mainstream investigational therapies. The Winchester Public Library is a dynamic community resource that endeavors to improve the quality of life for its library patrons by providing the resources, services and support they need to make informed decisions, resolve issues or answer questions. The Marjorie E. Korff Parenting At a Challenging Time (PACT) Program at the Massachusetts General Hospital Cancer Center provides parent guidance consultation to parents and their partners, who are facing cancer or other life-threatening medical illnesses. Through their many years of clinical practice, they have learned that at stressful and emotionally challenging times, parents appreciate practical suggestions for what to say or do to support their children. Researchers know generally why sea level changes. When water heats up, it expands and creeps up shorelines. Rather than modeling how Earth might behave in the future, the Pliomax team studies how it did behave in the past. They examine the Pliocene, a period about 3 million years ago, when Earth (on average) was about 2 to 3 degrees centigrade hotter than today. The Pliomax scientists are trying to determine how much higher sea level was during that previous hot period. 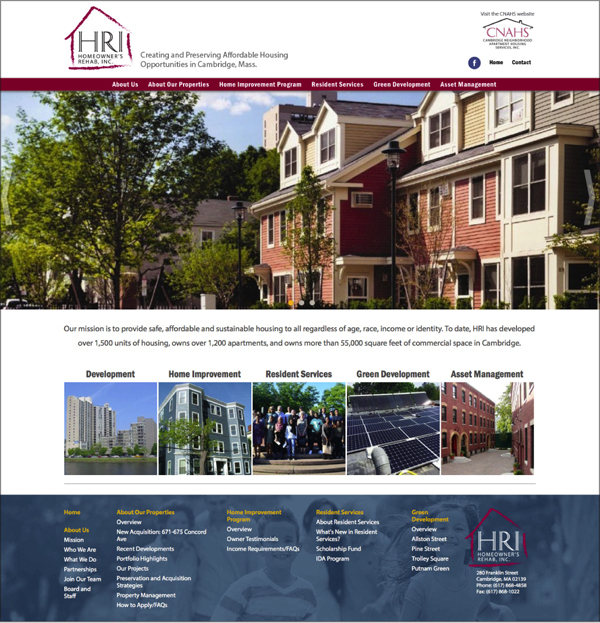 HRI’s mission is to provide safe, affordable and sustainable housing in Cambridge, Mass. to all regardless of age, race, income, or identity. They have developed more than 1,500 units of housing and they own more than 1,200 apartments and 55,000 square feet of commercial space. Dan is an award-winning print journalist and radio and web producer. He has produced radio stories and documentaries on science and the environment for many national news outlets and has written for the New York Times, The Boston Globe, and Discover among others.